The art of communication is as varied as its practitioners. 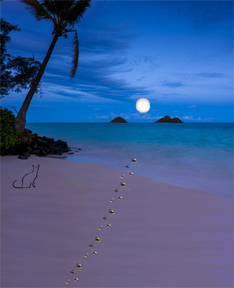 Success in your creative process usually rests on the degree of your inspiration. For any professional, it also reflects perception of the desires of your target market. And, if you are an author, success also depends on the writing skills to which you have been introduced…and have mastered. There are many comprehensive sources of writers’ guidelines available online and in print. 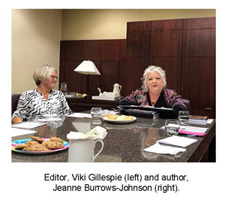 I will sometimes mention issues in the writing process, but in most of these blogs, I am attempting to share snippets of authoring strategies as they arise in my own wordsmithing. Many publishing houses restrict the amount of input an author may have in the printing process. But as a writer, you should be able to express concerns you have about the production of a work that will carry your name. As someone who has assisted in the process for other amateur and professional writers, and served as the art director on a collaborative effort, I am somewhat familiar with aspects of producing a high quality book. Now, as a debut author of fiction, I am entering a new phase of professional experience. 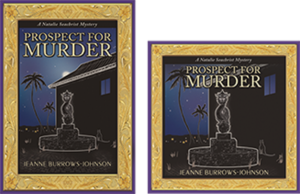 While the following areas of concern may not be presented in the sequencing of a publisher or art director, they represent my thought process while preparing for the publication of Prospect For Murder, the first book in the new Natalie Seachrist Hawaiian mystery series. Career longevity for a writer often rests on their successful book branding and advertising. These issues bring us to the appearance of one’s product; in this case, books. There are many design dilemmas facing authors and the people who will introduce their work to the world. Personally, I enjoy reading a classic hardbound book, so my contemplation of quality book printing rests on my perceptions of what constitutes a fine hardcover edition. 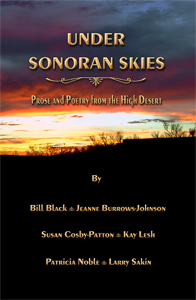 While the design elements of a print or on-line artistic project may vary in several ways (sometimes because of the genre), some issues are common. 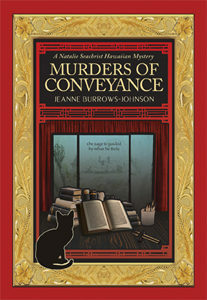 In general, the test of a book’s initial appeal is its cover. Does it draw the eye of the potential reader? I say the reader, rather than the buyer, because with the constant rise in the cost of hardcopy books, library patrons represent a large segment of the public that may read your book. Of course, to reach that readership, you will first have to appeal to the buyers of books that line library shelves. 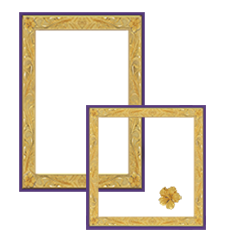 Book jacket design is one of the most important elements that concerns marketers. Therefore, I encourage you to seek an artist whose skills in fine and graphic art (as well as typography) will meet the needs of myriad projects. Fortunately, I have found this breadth of talent in the work of Yasamine June. I do not claim to be a specialist in color theory, but generally, bold colors and print in product packaging are believed to help maximize sales. In book publishing, successful cover design does not rest solely on these elements, or even on the overall quality of the artwork. In publishing, the book’s genre is also vital. 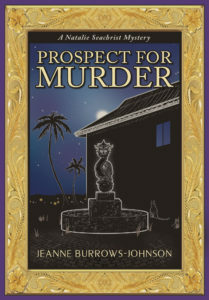 Prospect for Murder is clearly a mystery. In this genre, the coloration employed in book art often features dark colors, sometimes enhanced with the use of chiaroscuro [the effective contrasting of shadow and light]. To facilitate communication with my readers, my artistic vision embraces continuing historical and cultural features within the content and artistic accents that unify the appearance of the books. 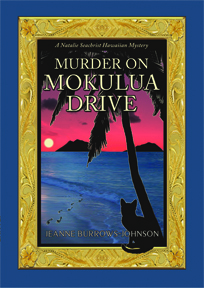 Because my stories center on Hawai`i, I am using Island-themed framing based on Hawaiian heirloom jewelry for each book’s cover. This repeating image, plus ones that are pertinent to each story, will serve to meet potential readers’ expectations by unifying my branding, thereby increasing the public’s recognition of each new addition to the series. In classic format, I have included a cast of characters, chapter aphorisms, and a notes and acknowledgments section. In addition, because of the inclusion of considerable foreign language and historical references, I offer a guide for pronouncing Hawaiian words and a glossary of non-English and specialized vocabulary. 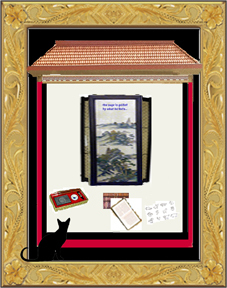 For emphasis, the aphorisms are presented in italic fonts and a distinctive hibiscus-based image frames each page number. The next concern I have is readability. Given the length of my books [PFM is 92,000 words], concerns about the cost of printing could lead to printing decisions based on saving paper: Margin size can be reduced; spacing after periods can be decreased from two spaces to one, blank pages between chapters can be eliminated, and the weight of the paper reduced. Such choices might reduce the overall size of a book and conserve paper; but they would not enhance the sensory experience of the people reading the book. Beyond these general considerations, my target market is older, well-educated women and men who are as interested in character relationships as they are intriguing plotlines. Many readers within my target market may wear eye glasses or contact lenses. Nevertheless, I am told that with the lack of certain vocabulary and situational elements, the inclusion of historical references and multiculturalism, my series may be appropriate to students in advanced placement courses in secondary school. These students may not be as concerned with the layout preferences of older readers, but they too will benefit from easy-to-read text. Regarding my recently published book, I have agreed to a layout that includes single spacing following the end of sentences, despite the continuing use of two spaces by many publishers both here and abroad. To compensate for this, my publisher has used a larger font that enhances the readability of the text of the hardcopy. With a trilogy of books already completed in the Natalie Seachrist series, I have already completed an audio edition of the first volume. In general, I knew I had to employ a believable voice for each of the characters. As the series is written in the first person, the most important voice is that of the protagonist, who is roughly my age. For Natalie’s inner narrative, I use a measured and calm voice; for her interaction with other characters, I employ tones and rhythms appropriate to each scene. Other characters are presented to showcase their unique profiles. 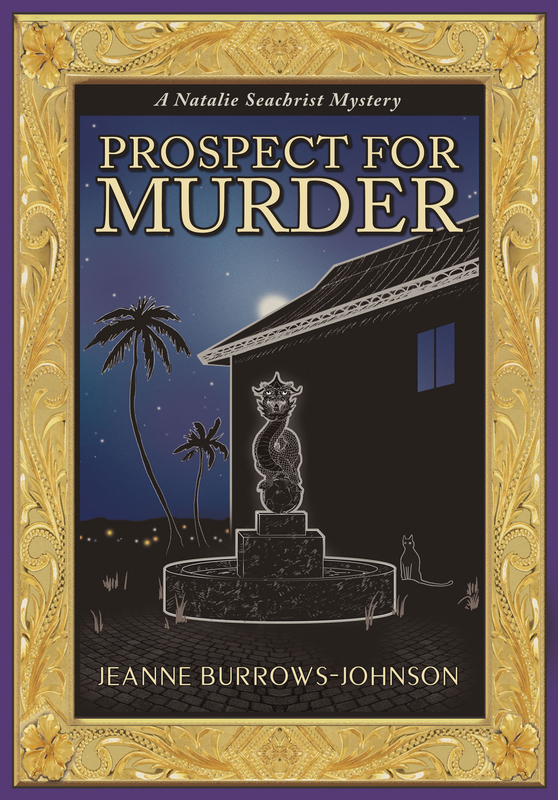 In preparation for reading portions of Prospect for Murder, I recorded descriptions and samples of each cast member. The text for each was printed in a distinctive color. In addition, I utilized a 14 point font and 1.5 line spacing. I also used varying spacing and marks to indicate pauses and emphasis. For instance, I use: upward and downward arrows for changes in tone; ellipses for the trailing off of my voice; and long dashes for abrupt breaks. For vocabulary or phrases about which I was concerned with correct pronunciation, I inserted underscoring and added hyphens between syllables. In future blogs, I’ll report on the response to the decisions I have made in this phase of my practice of the art and science of writing!